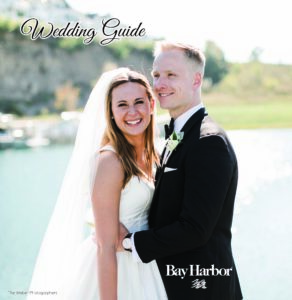 Offering its own beach, couples find the Bay Harbor Village Hotel & Conference Center in Bay Harbor, Michigan a beautiful wedding destination. The location puts guests within walking distance of shops, dining, and recreation. 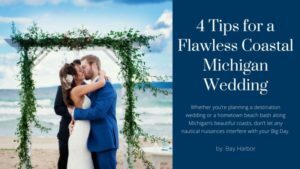 Not only do couples have a stunning view of Lake Michigan, but the multiple on-site indoor and outdoor venues provide the opportunity to plan a dream wedding. Located directly on the shores of Lake Michigan is the ideal spot to say “I do.” Couples are welcome to invite as many as 250 of their closest friends and family members to watch them start their forever, with the beauty and soothing sounds of the Lake Michigan’s behind them. This area is another outdoor venue that is excellent for a wedding ceremony of up to 250 guests. 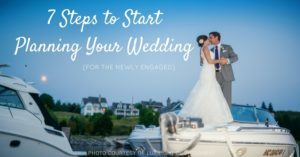 The bride and groom and all of their favorite people have unobstructed views of the harbor and ample first-look photo opportunities. The passing sailboats and yachts add a special touch to the wedding day backdrop. The Marina Lawn allows couples to enjoy the great outdoors while still having the protection of a tent. This space may be used for cocktail hours or full receptions. It is large enough to accommodate 300 people and has plenty of space for dancing. There are views of Bay Harbor Lake and the Bay Harbor Lake Marina. For a more intimate rehearsal dinner, cocktail hour or reception venue, go with the Loft. This space welcomes 90 guests and affords 360-degree views of the marina and Lake Michigan for stunning Lake Michigan sunsets. Dancing is also an option in the Loft. There are several options when booking the Conference Center for your wedding reception. 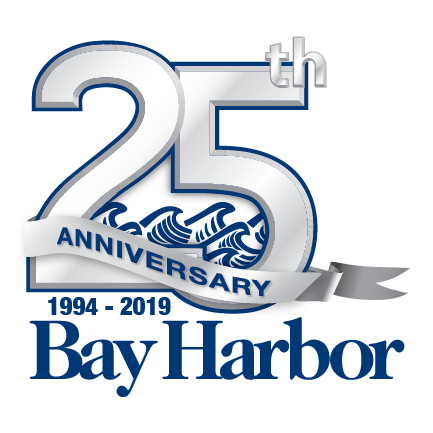 Together the Bay Room and the Harbor Room seat over 150 guests. There’s also a furnished lobby that is ideal for a cocktail hour. An exclusive event venue for those with impeccable taste. The Equestrian Center’s beauty and exquisite style will charm everyone who attends. This venue can seat over 500 guests and has several spaces for receptions, nuptials and after parties. There is an upstairs bar and lounge, an indoor event venue in stable, and several outdoor venues perfect for large tents. This venue can be trans-formative. Whether you desire the luxury equestrian feel, Venice, Italy, or the French Rivera, this venue makes any atmosphere possible. Don’t forget that this 20 acre option overlooks Lake Michigan!